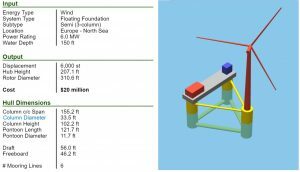 Last month OWOE introduced a new tool that can be used to quickly design a floating platform for real world offshore wind and oil and gas production platforms and estimate its final cost. 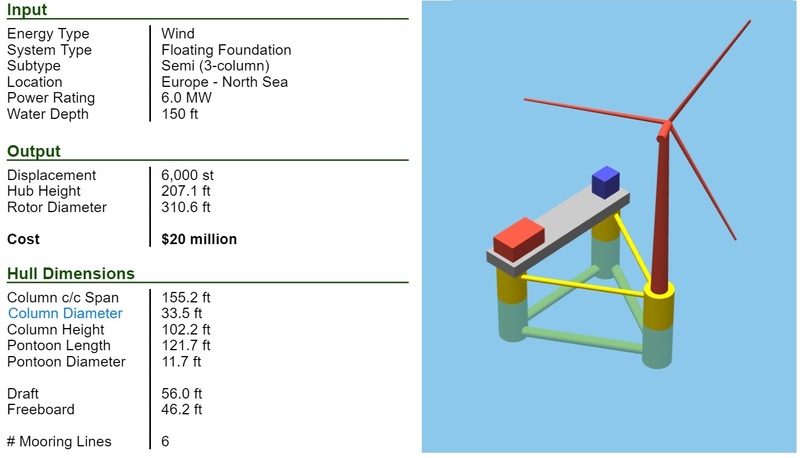 The OWOE Floating Platform Creation Tool uses a variety of simple algorithms to create a platform configuration that has both reasonable and realistic dimensions based on a broad database of real world platform designs. 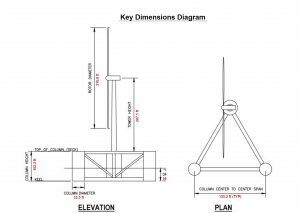 At this time it can be used for mono-column or tri-column wind platforms, as well as tension leg platforms, semi-submersible platforms, spars, and floating production storage and offloading (FPSO) systems for oil and gas production. 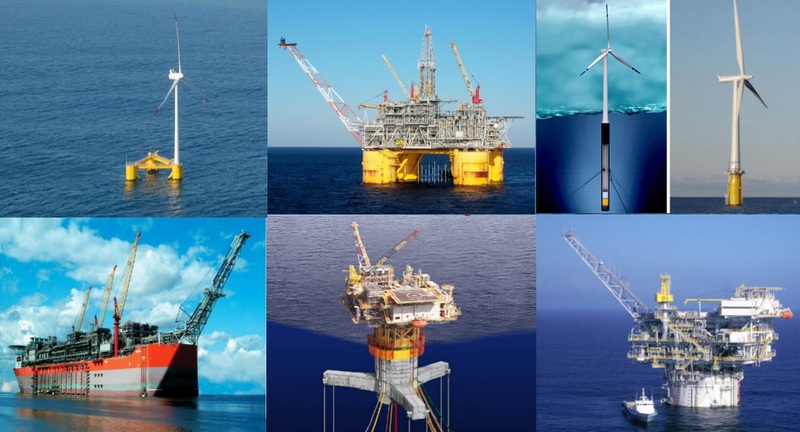 The tool is very simple to use, requires minimal input, and is ideal for the student who is learning about offshore energy opportunities. 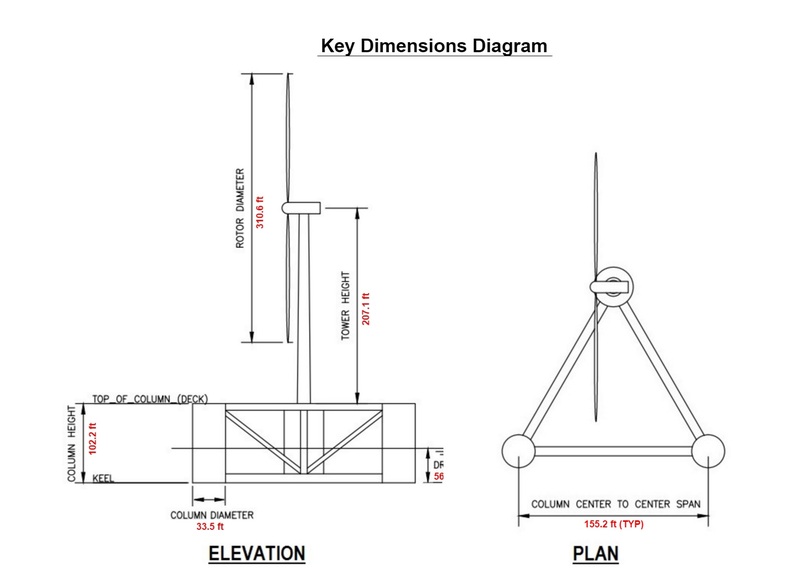 However, the realistic nature of the results also make this a tool that can be used for professionals in the field who need to get a quick estimate of platform size and cost without spending thousands of dollars on engineering. Output is simple and visual, including a rudimentary three-dimensional model that can be manipulated on the screen. In the near future OWOE plans to introduce an advance sizing tool that can be used to develop more refined designs. Users will be able to use the tool for scenario planning, develop more refined cost estimates, compare results with real world platforms, generate professional summary reports, and interface with other engineering tools such as motion analysis programs. OWOE has teamed with one of its sponsors, VL Offshore, to provide engineering support for the more advanced features to ensure accurate and quality results at a fraction of the cost of similar studies performed without the benefit of this exclusive OWOE feature. Nice blog Bill. Note my new e-mail (no longer with Enercon in near future). I like the graphics for the sizing tool. I can’t wait to see the enhance / improved tool.